What Kind of Bread Do I Serve With Moroccan Food? Matzo is known as the "bread of affliction." 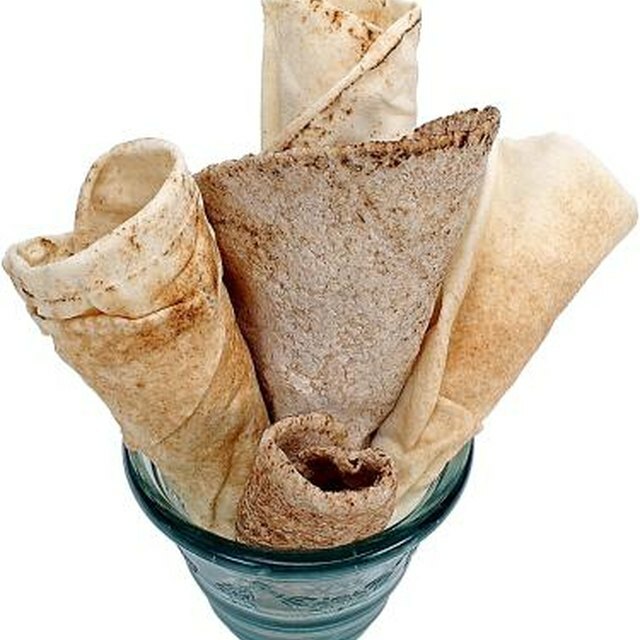 1 What Kind of Bread Do I Serve With Moroccan Food? 4 Can I Make Monkey Bread the Night Before & Bake it in the Morning? Unleavened bread is characteristically flat, but some flatbreads aren’t unleavened breads because they use yeast or another leavening ingredient like baking soda. Most true unleavened breads are made from a simple combination of flour and water, although some are flavored with herbs or spices. 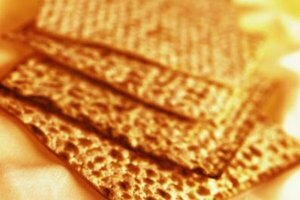 Matzo is probably the most recognizable, but unleavened bread plays an important role in many world cuisines. Matzo symbolizes the exodus from Egypt, when the pharaoh let the enslaved leave. The Jewish people fled so quickly they didn’t have time to make leavened bread; instead, they prepared it with just flour and water. Traditionally served at Passover, the crisp bread is eaten plain while the story of the Exodus is retold. The bread is accompanied with haroseth -- a dried fruit and nut paste -- that connotes the mortar the slaves used. Matzo resembles a cracker, and added flavorings such as sun-dried tomato and onion have contributed to its increased popularity among non-Jews. You can turn matzo into bread crumbs, make a batter with it, use it as a base for pizza or make matzo-ball soup. Lefse, a Norwegian flatbread, was originally made with flour and water, much as matzo was made, but with the introduction of the potato into Norway in the 18th century, the recipe changed to include cooked, riced potatoes. The resulting dough is rolled thin into a round, and a tool called a "lefse stick" is used to transfer the dough to a griddle. Once the cooked lefse cools, it’s folded in half and then in half again, to make wedge-shaped pieces, or rolled up like a crepe. The flatbread is traditionally served warmed with butter and sugar, or rolled with a sweet filling. Hardtack, known before the Civil War as "Army bread" or "hard bread," was a staple of Union soldiers’ diets. Its unpleasant reputation derives from its almost inedible nature and that during the war, supplies were sometimes left outside uncovered, where insects turned the bread into “worm castles.” Fresh from the oven, the bread is soft enough to eat like a cracker, but after a few hours, it hardens. Available as a souvenir at some Civil War battlefield gift shops and for sale from a few companies that supply re-enactors, the hard bread is probably best eaten after it’s been crumbled and added to a cobbler, chowder or breakfast mush. Time: So You Think You Know Matzo? Can You Make Dumplings With Cornstarch?